In present time competition is on its higher and everyone is running to touch that higher point and sometimes because of that they get stress and get lose their human values. It is true that after a higher qualification everyone wants to get a good job that will feel that person on a higher or reputed position. But at times we lost ourselves. For example if for a field you are not suitable but have entered in that field then you may get fall of career. But this is not your fault because you do not know where you have to go but you try your best to get success in that field. 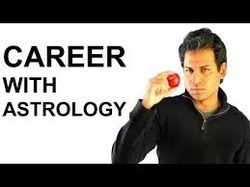 Astrologers are the solution of this career problem. Astrologer can assist you what field will suit on you and in which job profile you will get success.